In an age where people stay single longer, it is only logical that there will be more solo travelers, however what surprised me over the years is that I met more solo female travelers than solo male travelers. Research even shows that more than two thirds of the solo travelers are women, which is in contradiction with commonly expected behavior. – 15% wanted to get out of their comfort zone, challenge themselves learn more about themselves and gain more self-confidence. Interesting to mention is that the reasons for women to travel solo and their first experiences on the road often depend on their nationality and background. But after traveling for a while, the results of their experiences are quite the same. The traveling has changed them. Most solo travelers, both women and men feel scared when they decide for the first time to travel alone. I was scared when I first travelled alone all the way to Latin America. I had my first hostel in Mexico City pre-arranged, together with a safe airport transfer. After I arrived at midnight in my hostel I signed up for a tour to Teotihuacan the next day. I felt lonely when I stepped on the plane, but after that first day-tour from Mexico City I never felt alone anymore in the 18 months of travelling and volunteering that followed! So to answer one of the most frequent asked questions of people who want to travel solo: “Don’t you get lonely when you travel alone?” No, really the opposite is true, you will likely meet more interesting people in one week traveling, then in one year back home. Because of their strong macho culture, South America has a negative image when it comes to solo female travelers. But is it really that bad? After being in a bar one night, listening to a solo female traveler who was complaining a lot about how she was treated in South America, I (as a man) thought that she might be exaggerating her experiences. Of course I didn’t dare to tell her, but it made me think. Am I wrong? Is it really that bad for women to travel alone in South America? Most of my female friends have some complaints, but I can’t remember them to complain that much? – Can you write down in brief terms what you liked about travelling alone in South America? – Would recommend other women to do the same and why? • Travel is the best university, as it teaches you important lessons about Life. • A woman’s intuition is a powerful tool to keep you safe. • I made so many amazing friendships because traveling forced me to open myself up to strangers from all over the world and because I did that, they were able to know me and love me and we are still friends to this day. Know where you’re going to. Know what to expect. Learn about the local culture. Take some Spanish lessons (Portuguese in Brazil). Just a few important words and phrases in Spanish will already greatly improve your travel experience and make you feel less lost in case of an emergency. Make sure to get the right vaccinations and to ask your health department about possible current health risks. It is also good to know what your blood type is. Don’t worry about female hygienic products. Al common products are easy to get in South America, except for the morning-after pill. This pill is illegal in most South America countries. Just in case it might be good to learn a few self-defense tricks. Most likely you will not need them, but it already makes you feel more confident about your own capabilities. Carrying a small whistle also helps. If your parents are too worried about your safety while traveling as a solo female traveler, then first let them read this article. It is also good to get them involved in part of your preparations. It will make them feel more connected and shows them how ‘their little girl’ is organized and capable to take care of herself. To let them read this article and other blogs about solo female travelers will also help. Make an itinerary of places and highlights you want to visit and leave this with someone at home, so they know more or less where you are. Note: this doesn’t mean that you can’t be flexible anymore. It’s actually quite the contrary. When you start with a clear plan, it is easier to decide along the way if you want to follow through, or encounter some better alternatives along the way. Just don’t forget to inform your family/friends about your new plans. Make sure to get the appropriate travel insurance and that you make digital copies of all your important (travel) documents. Save those on your phone and online, so there is always a way to reach them. It is also good to make a clear list with your main emergency contacts (home, insurance, bank, embassy, etc) and some of the useful local contacts, like hotel, police and taxi numbers. Save those digital, but also on an old fashioned sheet of paper. Make sure to travel with a comfortable female backpack and only pack what you really need. The lighter you travel, the more flexible you can be and the fewer you ‘have to’ depend on strong men to help you with your luggage while getting in and out of public transport. Install some travel apps including Google maps, Mapsme and Google translate to be able to navigate. Other apps Like: https://getbsafe.com/ help to provide more safety, to get more tips: https://www.bemytravelmuse.com/ and http://tourlina.com/#0 to find female travellers with similar interests in the same area. Some women even use Tinder to get in contact with the locals and foreigners who live in the area. According to a study from Google the Tinder app belongs to one of the most popular apps used by travellers. If you decide to use this app to find company while travelling, make sure to be very clear in what you’re looking for. This can be visiting a museum, join a wine tour, have dinner, etc. Stay in hostels while travelling, as they are some of the best places to meet up with other travellers. If possible try to arrive always before dark at a new hostel in a new place. When arriving by plane, many hostels offer safe airport transfers at a good rate. When you leave your hostel, make sure to take their address and phone number with you. You will not be the first who gets lost in a new city. Tell friends and family where you stay, but be careful with telling strangers/ ‘new friends’ where you stay. While travelling trust your intuition. When you go to unknown places and deal with new situations it is very important to listen to your gut feeling. Especially women who travel on their own seem to be very good in judging a situation by their intuition. If you don’t like a taxi, don’t get in; if you don’t like a hostel, find another one; if you don’t trust someone, listen to that feeling and walk away. Before leaving the hostel, ask other travellers in the hostel and check with the reception about the safety in the neighborhood. The recommendation that you shouldn’t walk the streets in the dark isn’t always complete. Early evening is sometimes even safer than around lunch time. It is always more important to observe the crowd. It doesn’t matter what time of the day it is, but if find yourself in parts of town where no-one walks the streets, there is probably a reason for you as well not to walk there. While walking around, always try to look confident as if you know where you are and where you’re going. Respect the local culture and try to blend in by dressing appropriate. The more skin, or curves you show to Latin American men, the more likely you receive the wrong attention. When going out try to use an old wallet with some fake cards and don’t bring more valuables with than needed. You also don’t have to bring your passport. A copy or a picture in your smartphone is enough. If a police officer asks to see your real passport, he’s usually not a real police officer. Just tell him that he can walk with you to the hostel if he wants to see your real passport. Most will decline. Don’t wear jewelry, except maybe a fake wedding ring. Wearing a wedding ring will prevent at least some men from trying to hit on you. If you are lost, or don’t feel safe, always try to stay calm and look confident. Just calmly walk into a café or restaurant take a coffee and check your maps. People will assume you can take care of yourself and are more likely to leave you alone. You can try to ask locals for directions, but in South America you can’t rely too much on their recommendations about directions, or safety on the street. Not only do they often give you a wrong direction, because they feel they have to give you an answer, even if they don’t know it, they’re also often more worried than necessary. Especially in big cities, many Latinos grew up feeling unsafe outside and will think that you’re a bit crazy to travel alone. This doesn’t mean that you should ignore all local recommendations; it just means that you can’t take them all seriously either. If you do need to ask locals for directions, then try to find a police officer, shop owners, or street vendors. Unfortunately solo female travelers in South America do get frequently harassed while walking the streets by themselves. Often it is ‘just’ verbally harassment and it’s best to stay calm, smile and try to ignore all comments. The less you respond to it, the least fun those guys have and usually they leave you alone. Also, don’t feel obligated to be nice to each man who wants to talk to you. If you don’t want to talk to him, it is perfectly fine to tell him straight away that you’re not interested. It saves you both time. If you feel threatened while walking on the street, try to walk into a shop, restaurant, or any other business. When nothing is open try to join a group of people. If you can’t walk away, try to stay cool. If the perpetrator wants money, just give it, it he really threatens you then scream or whistle from the top of your lungs. It might surprise you how effective this can be. But if this still doesn’t help and he tries to grab you, then try to deal the first blow. Hit him in the soft spots, like crotch, eyes or neck. Traveling is an adventure and while being on holiday people often do things they don’t do at home. But while working as a tour leader my colleagues and I used to joke about tourists who bring too much luggage, but leave part of their brain at home. Adventure really isn’t the same as taking unnecessary risks, like staying at the edge of a cliff to take a selfie! While traveling it is even more important to use common sense. This includes that you shouldn’t walk back from a bar to your hostel all by yourself at 2:00 am in the morning. Don’t accept drinks, or any other gifts from strangers, because they might contain drugs. Don’t get drunk and always watch your drink! Be also very careful if you want to get involved with a guy you just met. Don’t go to his place, but go to your hostel and let him register at the reception before going to the room. If you sleep in a dorm you can consider renting a private room in the same hostel, or in another, just for the night. If you leave with a guy, make sure to inform someone, even if it’s just a fellow female traveller you met earlier. At night it is recommendable to ask the hotel or restaurant to call a taxi for you. But if that’s no option, or when you want to take a taxi during the day while in the city, make sure to pick out a random taxi, or a taxi that just drops off other clients. Don’t take taxi’s who ask if you need a ride, or are waiting at obvious tourist spots. When in doubt, trust your gut feeling before entering a taxi. Many female travellers complain about Latin taxi drivers who try to hit on them. When talking with taxi drivers it is best to tell them that you have a boyfriend, or husband and maybe even pretend that someone is waiting for you. If you feel uncomfortable you can call (or pretend to) the hostel to tell them that you’re on the way. If a taxi driver keeps asking for your phone number, just write down a fake phone number, maybe even from the police. It would be fun to see the face of the taxi driver when he calls that number. Uber and other local online transport services like Cabify in Ecuador, are also getting more popular in South America. I know, this sounds a bit cynical and of course there are always exceptions. But I want to give this as a personal warning, be very careful. When you get involved with Latinost is good to keep in mind that Latin American men are in general not very faithful. Cheating men in South America are common and more accepted than in western countries. If you date a Latino older than 30, it isn’t uncommon that he already has a wife at home. Still the biggest complains my female friends have/ had about their Latin boyfriend, or husband is that he isn’t very open about his feelings and doesn’t appreciate her independency. After spending most of the past 15 years in Latin America I personally don’t know any foreign female women who spend more than 10 years with her Latin boyfriend/ husband in South America. I have to admit that some friends of a friend seem to have managed, but I don’t know them personally. I even know some extreme cases about foreign women who fell in love with Latinos in Ecuador. They send thousands of USD to try to fly him over, only to find out that it was all a scam. For some reason relationships between foreign men with Latin women actually seem to make a better match. I can’t think of a better reason to invite solo female travelers to come over and travel around in South America! 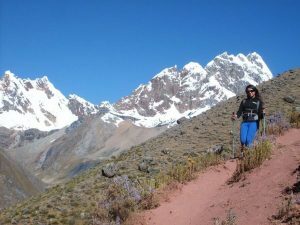 For women who like to travel alone, but not fancy to travel as a backpacker anymore, we now offer a special tour for Solo female travelers in Peru. This is a great tour for women who have less time to organize their travels and want a bit more comfort while traveling. 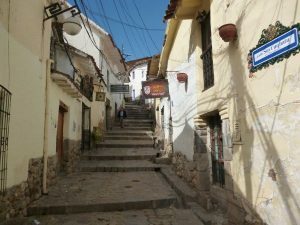 Read here the original list of personal experiences from Solo female travelers in South America. More useful tips for women who want to travel alone can be found in the following article from: Bankrate. ¡Thanks to everyone who made this article possible and Buen viaje!